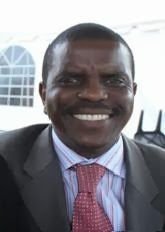 Henry Sebata has a wide range of experience in the business and social development fields. Prior to joining Hewlett Packard 1998 he was responsible for business youth development in the South African chapter of the UN recognized Global Student Development organisation AIESEC. As the manager for CSI and training and development at HP he played a leadership role in the development of policies and programmes directed at ensuring that Hewlett Packard’s Social Investment Programme was implemented in a manner relevant to needs and context in South Africa. This role saw him engaging with community and corporate partners for programmes such as digital villages and teacher qualification improvements in adopted school. It would entail stakeholder engagement, project conceptualization and implementation management. This role laid a foundation for his appointment as the manager Authorized Service Delivery Partners in Southern Africa. He was responsible for the identification, assessment and accreditation, training as well as the quality assurance of service delivered to HP clients. The ASP manager was also responsible for sales of parts and service products. Henry was responsible for the development of what was then the first black primary service delivery sub-contractor, working with them to set up processes and driving continuous improvement programmes. In 2007 now working as an independent consultant he was responsible for the setting up of a Global service Desk for an international client, that included the recruitment of the agents, setting up the processes, training the agents and eventually handing over to the would be manager. This was followed by an IT project management role in one of the largest IT transformation projects. After a stint as Head of Consulting at Regenesis Management and a Residency Manager at EMC computer corporation Henry is now focused entrepreneurship activation in previously disadvantaged offering business training and support. Using experiential methodologies he has trained in locations such East London, Umtata, Tembisa, Dieploot, Cosmos City and Alex. Corporate clients have included Eskom, ABSA done in partnership with Business Education Design. Henry is a Bcom Graduate from Rhodes University and is the Senior Pastor of a church plant in Cosmos City in Johannesburg. He is an accredited trainer of Business Education Design program such as team Business and Give Yourself a Job.